Thanks for purchasing the Katana Blues Drive. This rich dynamic overdrive has been designed from the ground up to deliver a very wide range of tones. 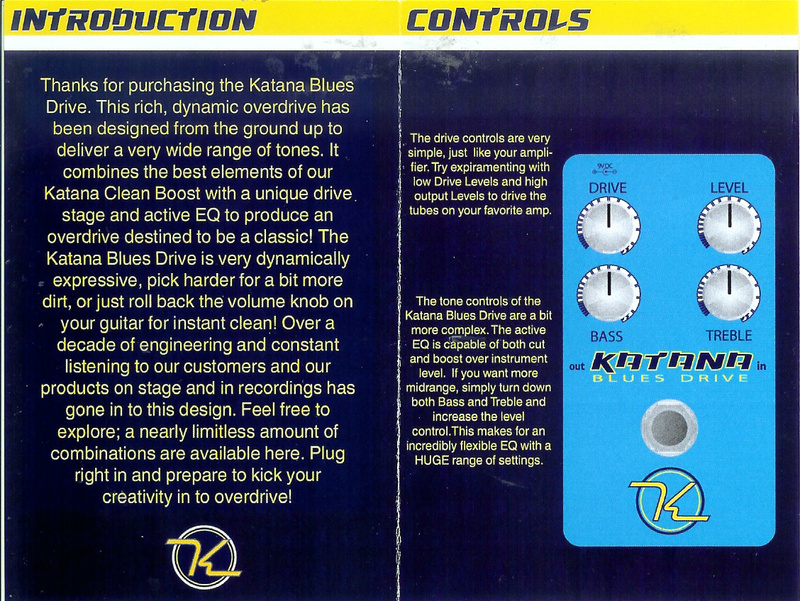 It combines the best elements of our Katana Clean Boost with a unique drive stage and active EQ to produce an overdrive destined to be a classic! The Katana Blues Drive is very dynamically expressive, pick harder for a bit more dirt, or just roll back the volume knob on your guitar for instant clean! Over a decade of engineering and constant listening to our customers and our products on stage and in recordings has gone in to this design. 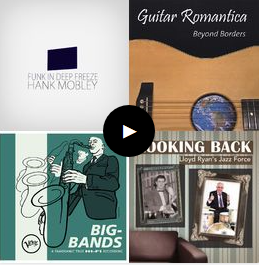 Feel free to explore; a nearly limitless amount of combinations are available here. Plug right in and prepare to kick your creativity in to overdrive! The Drive control are very simple, just like your amplifier. Try experimenting with low Drive Levels and high output levels to drive the tubes on your favorite amp. The Tone controls of the Katana Blues Drive are a bit more complex. The active EQ is capable of both cut and boost over instrument level. If you want more midrange, simply turn down both Bass and Treble and increase the level control. This makes for an incredibly flexible EQ with a HUGE range of settings.